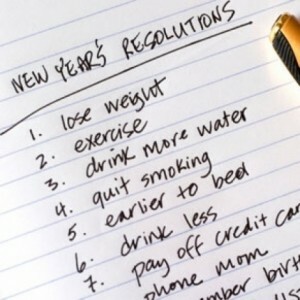 You might know that 41% of Americans make New Year’s resolutions annually. But did you know that out of those, more than 42% never actually succeed, yet continue to make new resolutions every year? As the saying goes, if change were easy, more people would do it. Fortunately, there are some simple ways for you to set yourself up for success. Read on to explore some of the most common resolutions and how you can actually make them stick. Most of us can think of some way we’d like to improve our time management. Whatever you want to make room for, there’s a key strategy that can help you actually make it stick. You have 24 hours in a day, but old habits can be hard to break. To make a lasting change in how you’re budgeting your time, first establish your “why”. Let’s say you want to spend more time with family, or spend an hour a day reading. What’s the reason behind your goal? How will it enrich your life? If you review your “why” regularly, you’re less likely to quit when those old habits come calling. Resolution: Learn a new skill. Adding new skills can help you maintain a sharp mind and a sense of purpose in life. It can also be a lot of fun! If there’s something you’ve been wanting to learn, the new year is a great time. You don’t have to go at it alone. Take a class and let an expert show you the way. There are top quality online classes available for everything from tennis to organic farming to screenwriting. Looking for more in-person experience? Check out the offerings at your local community college. For better or worse, we often tend to show up for other people more easily than for ourselves. Doing a cleanse? Checking out yoga? Find a buddy to do it with you. Chances are good that someone you know has a similar goal. With a partner who’s counting on you, you’re more likely to stay accountable and get in great shape. The new year’s invitation for a fresh start also extends to your personal space and working environment. But trading a habitual mess for lasting tidiness can feel like an impossible task. Whether you’re looking to empty an attic, declutter your desk, or finally put all those National Geographic in chronological order, keep it simple and flexible. To get unstuck, ask yourself: “What is one small thing that I can do today?” Just keep taking one small step each day, and you’ll have the job done before you know it.